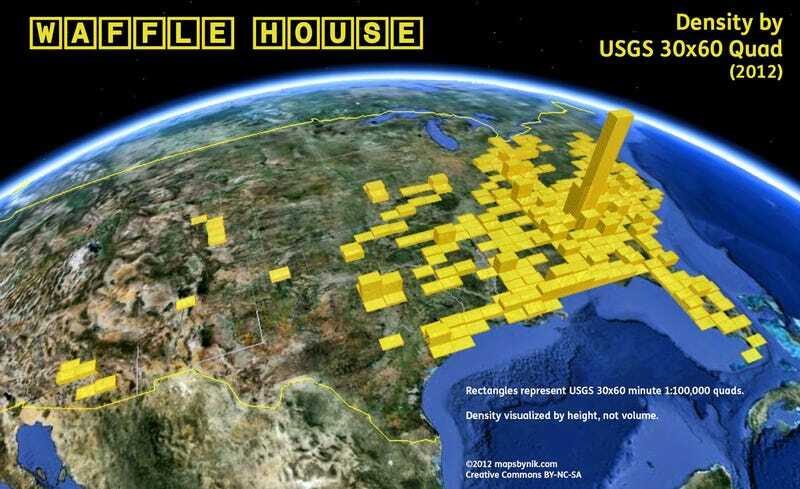 We took a look at IHOP vs. Waffle House data last year, but this 3D visualization emphasizes an important fact: Every single storefront in Atlanta is a Waffle House. *30 minutes' latitude tall by 60 minutes' longitude wide. 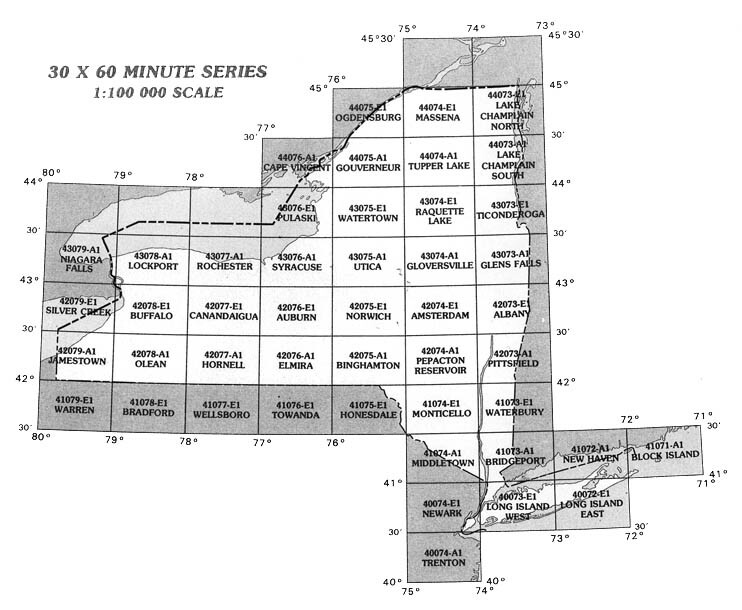 Here's New York's 30 x 60 quadrangles, for reference.